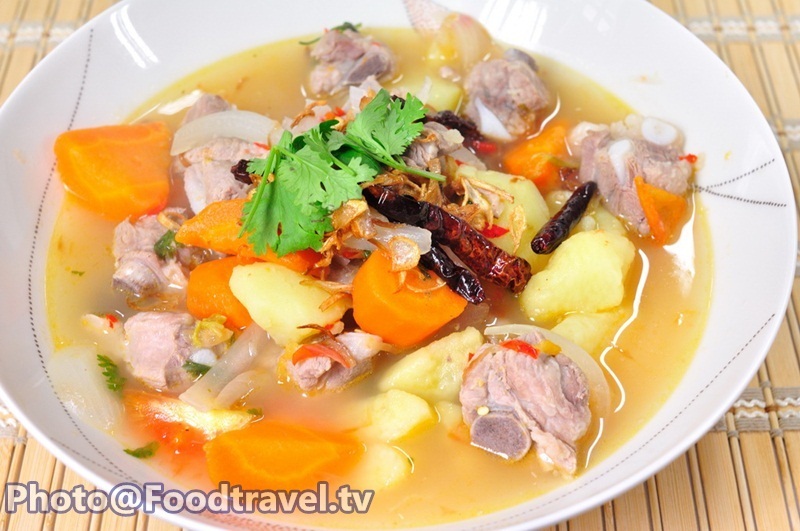 Spicy Thai Pork Ribs Soup with Potatoes - In this menu has the similar ingredient between potato soup and spicy soup. But the flavors are more intense. And with some ingredients that make them difference. 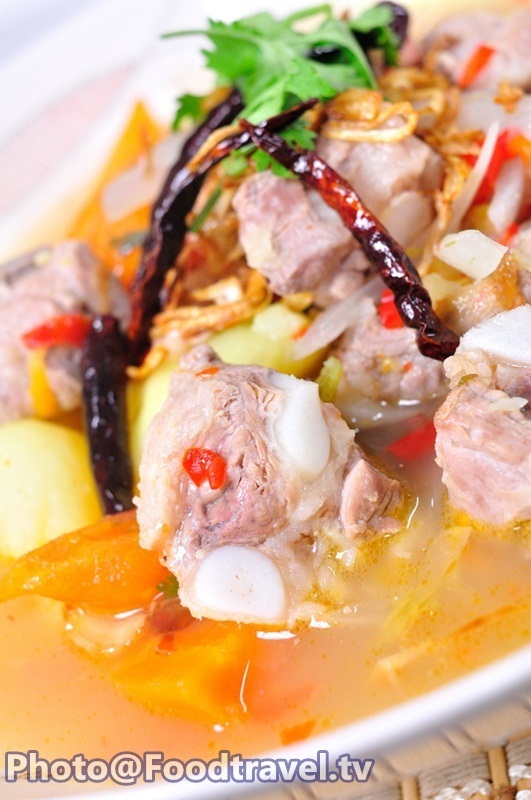 It has a spicy, sour, salty, sweet, with the fragrance of fried shallot. 1. Peel the potatoes, onion, carrot and chop onion into thin piece, cut potatoes and carrots into pieces. 2. Chopped coriander leaves and pound the coriander root. Cut tomatoes into 4 parts and chop red pepper thoroughly. 3. Boil water, add pork ribs, red chilli, coriander root. 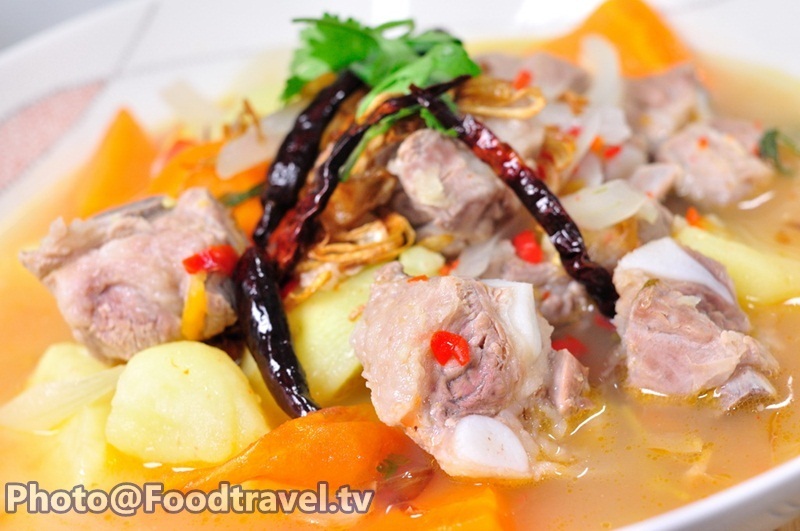 Boil for 30 minutes medium heat, then add potato, carrot and continue boiling for 20 minutes until soft. 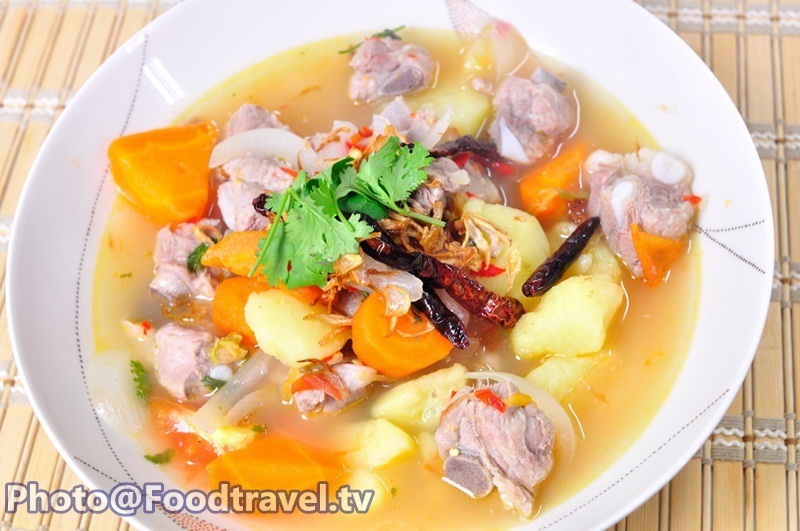 4.Add onion, tomato, flavored with sugar, salt, fish sauce and boil for another 5 minutes. Then turn off the gas, add lime, coriander, fried shallot and fried chilli. Finished.